Her funeral mass took place at St Patrick’s Church in Glencullen in Dublin. PRESIDENT MICHAEL D. Higgins and Taoiseach Enda Kenny were among the mourners this morning’s funeral mass for Coast Guard pilot Captain Dara Fitzpatrick. Mass was said this morning at St. Patrick’s Church, Glencullen, Dublin with Fr. Andrew O’ Sullivan describing Capt. Fitzpatrick’s death as “profoundly sad and sorrowful”. “We are all here this morning to remember Dara and also to offer our support to the Fitzpatrick family. Through our presence here in such great numbers we are stating publicly that we too recognise the blessing that Dara was,” he said. We are expressing gratitude to the Fitzpatrick family for moulding Dara into that wonderful young woman and mother that she was. Over the last few days many stories have been told about Dara and how she was a wonderful colleague and friend and indeed of the incredible professionalism and bravery of those in the coastguard and in our emergency services. The priest’s homily also made reference to the pilot’s life and hobbies, speaking about her “goofy sense of humour” and love of horse-riding, cooking and hillwalking. “She was kind to her core and a champion of the underdog. She was fiercely loyal and her family was of paramount importance to her,” Fr. O’ Sullivan told the mourners. Several people including Dara Fitzpatrick’s sister Niamh have pointed out the the the south Dublin road leading to the St. Patrick’s Church is the R116, the exact same number as the Rescue 116 helicopter that crashed with the loss of Fitzpatrick and three colleagues. As we honour Dara today with the rites of Christian funeral we are also very mindful of Dara’s three crew members who have yet to be found, and we commend them to God and we keep them and their families foremost in our thoughts and prayers. 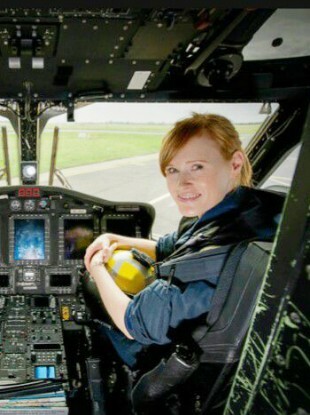 The 45-year-old pilot from Kilternan, Dublin died from injuries she sustained in a helicopter crash which happened off the coast of Blacksod, Mayo on Tuesday. The family had asked that no flowers be brought to the church and that donations, if desired, should be given to the RNLI, Dublin & Wicklow Mountain Rescue and The Donkey Sanctuary. Following today’s mass, she will then be cremated at Mount Jerome in Harold’s Cross. Yesterday’s Saint Patrick’s Day from Archbishop Eamon Martin’s included a tribute to the late pilot. Chief Inspector with the Air Accident Investigation Unit Jurgen Whyte said investigators would now focus on trying to recover the beacon. He said it was hoped the missing crewmen would be found in the same area. Tributes have been pouring in for the pilot and the three other missing crewmembers. Speaking to RTÉ News, Dara’s father John said the situation is “horrendous” and “absolutely heartbreaking”, but that the family feels “tremendous pride” for Dara and the work she was doing. Her mother Mary described her as “a good, kind Christian person” who was passionate about being in the Coast Guard and loved animals. “She adopted a little boy almost three years ago and he was the absolute light of her life and the light of our lives … We will bring Fionn up as Dara would have wanted.” Mary said. Her sister Niamh said the situation is “a living nightmare” and they keep thinking Dara will wake up. The family thanked the public, the Coast Guard and gardaí for all the support they have received. They said they are praying for the other victims’ families and hope Dara’s colleagues are found soon. Email “'Captain, colleague, daughter, sister, mum, friend and hero' - Captain Dara Fitzpatrick is laid to rest”. Feedback on “'Captain, colleague, daughter, sister, mum, friend and hero' - Captain Dara Fitzpatrick is laid to rest”.